Updated open floor plan with split bedroom design. Hardwood floors throughout. New hardwood in all bedrooms. Kitchen with white cabinets, extra buffet style cabinet, granite, island and pot hanger, breakfast bar open to dining and great room. Laundry center is central located just off garage. Vaulted ceiling and fireplace in great room provide great space for entertaining. Master suite with trey ceiling, updated bath, tile floors, linen closet, and walk in closet. Split bedroom design provides 3 additional bedrooms, with beautiful bath, featuring granite and furniture style vanity. Plantation blinds, New A/C, Spacious back yard with new sod and new fence. Enjoy your view of sweeping oak trees from the covered front porch. Quiet, friendly neighborhood with award winning school district. 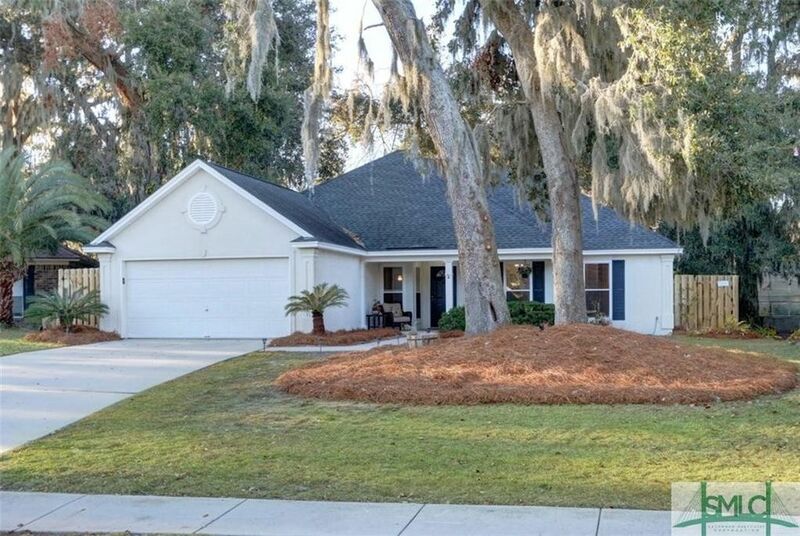 You will enjoy coming home to Betz Creek on Wilmington Island ! Directions: Hwy 80 E to J. Mercer to Walthour to Teakwood (Betz Creek) then left @ Barnacle then right on Runabout - house on left.